The Future is Here! Send this to a friend! Überloo International is proud to offer a series of state-of-the-art technology solutions for 100% hands free restrooms and to assist or compel individuals to wash/sanitize their hands. 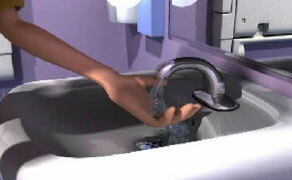 Here below are some Überloo animations of our products. Please click on the photo of the animation if you wish to view or forward the video to a friend or colleague. You will have the opportunity to write in a box your comments intended for the viewer. Should you have any questions or a need for a technological hygiene solution please write us an email: info@uberloo.com. Thank you for your interest in Überloo International. 1. What is an Überloo Restroom? 2. 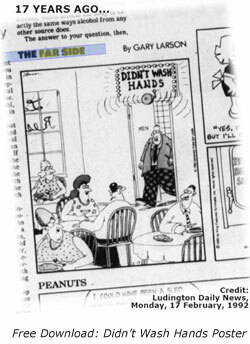 Überdoor and the "Wash Hands First" feature: compeling restroom users to wash their hands prior to exiting. 3.Überloo Patient Room Doorway Sentry: Visitor's entering & exitting patient's room trigger a light & signal if hands are not sanitized. 4. Überloo 3 Arm Turnstile Sanitizer: 100% of pedestrian traffic must sanitize hands prior to passing through turnstile. 5. 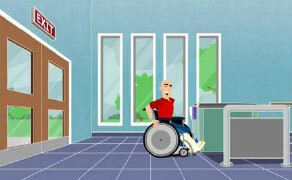 Überloo Optical Turnstile Sanitizer: 100% of wheelchair traffic must sanitize hands prior to passing through turnstile. 6. Überloo Door Opening Sentry: All traffic entering or exiting a building with an automatic door must sanitize before the door will open.